Dance News New York City, New York is the central reporting site between Dance - New York City Night Life ( NightLife ), RMC and Dance 4 America, as well as other sittes for more detailed and in depth reporting. October 9, 2009 – For more information, photos, press tickets or artist contact information for the above upcoming shows, please read the full line up information below and send me an email. Also we’ve just added the following new shows: Courage in Concert Viewing Party hosted by Gavin Creel and Will Swenson (10/19), Del Mccoury Band (11/19), Jeffery and Cole Casserole: LIVE! (11/20), Danielle Evin (11/25), Tina Brown / Under The Elephant / Katia (11/25), Judy Gold in Jewdy, Jewdy, Jewdy!!! (11/27-11/29), We Are The Song: After The Storm 2! (12/7), Click any of the links to go to the show’s page on JOESPUB.COM. The DanceNOW [NYC] Festival, celebrating its 15th anniversary season in 2009-10 with an expanded season of performances at three different downtown venues that honor its past, present and future, wraps up its celebration with a new Dancemopolitan series, LIVE at Joe’s Pub, October 22–24. These three LIVE showcases bring festival artists to Joe’s Pub’s intimate stage, where DanceNOW [NYC] inaugurated its successful Dancemopolitan in 2003 as part of The Festival season. The October festival series is hosted by The Dang-It Bobby’s, the Brooklyn-based duo of singer songwriter Kris Bauman and guitarist Luca Benedetti, and features dance works that incorporate live music and/or text by guest artists - Julian Barnett, Christal Brown/INSPIRIT [23&24], Dixie Fun Dance Theatre [22&23], dnoDances [22&24], Zach Morris with Donna Ahmadi, Negative 30 Dance [23&24], Portables/Claire Porter, Christina Reaves [22&23], Tami Stronach Dance and Beat Boxer Adam Sutta and Mary Suk [22&24]. First held in the fall of 1995, the DanceNOW [NYC] Festival aims to present a broad spectrum of the NYC dance scene, offering audiences opportunities to re-connect with artists they know, while also sharing in the spirit of artistic discovery that has exemplified DanceNOW [NYC] since its inception. For table reservations please call 212-539-8778. Purchase of tickets does NOT guarantee a table reservation; you must call to reserve seats. Seating, as well as standing-room, is available only on a first-come, first-served basis for all shows without a dinner reservation. Two drink or $12 food minimum per person is standard. See complete story on Dance 4 America. 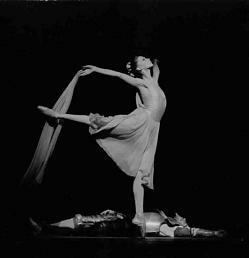 The Jerome Robbins Dance Division of The New York Public Library for the Performing Arts has restored and preserved the 1965 film of a historic performance of George Balanchine's three-act ballet Don Quixote and has edited the two-camera, uncut film into a complete, edited videotape version available for public viewing at the Library. The project was completed with the participation of Suzanne Farrell, the ballerina for whom the lead role of Dulcinea was created and who is currently the Artistic Director of The Suzanne Farrell Ballet at the John F. Kennedy Center for the Performing Arts. The premiere screenings of the newly edited Don Quixote recording will take place September 5 at the Kennedy Center in Washington, D.C., and September 18 at The New York Public Library for the Performing Arts at Lincoln Center. NYU Contributes to the Arts through Dance. The Second Avenue Dance Company will present its fall concert series featuring previews of one work each by guest choreographers Trisha Brown and Jessica Lang, in three performances from October 18-20, 2007. The concert series will also include work by eight student choreographers. These previews also include Tisch student design in lighting and costuming. The featured previews are: Prayers, Jessica Lang’s new contemporary pointe work for seven women, to the music of Pergolesi and Des Prez, showcasing the diverse abilities of the dancers, and Trisha Brown’s Canto/Pianto (excerpts) 1997/98, an abstract retelling of the Orpheus myth to Monteverdi’s opera L’Orfeo, restaged by former company member Stacy Spence. The student choreographers with seven dances are: Kristen Arnold/Silas Reiner, Bryan Campbell, Alana Isiguen, Jacob Peter Kovner, Jason Luks, Megan Madorin, and Bergen Wheeler. The three-performance concert series opens Thursday, October 18 and runs through Saturday, October 20. Curtain is 8 p.m. Admission is free. Performances will take place in the Fifth Floor Theater, 111 Second Avenue. For detailed information, call 212.998.1982, Monday through Friday, between 1:00 and 5:00 p.m.
Second Avenue Dance Company is the resident dance company of the Department of Dance, Tisch School of the Arts, New York University. It comprises students in their final year of training and is designed to serve as the dancers’ transition into the professional world of dance. Cherylyn Lavagnino is chair of the Department of Dance at the Tisch School of the Arts. Lavagnino and Jaclynn Villamil co-direct the Second Avenue Dance Company. New York City Ballet has announced the programming for its 2008 winter season. The season will open on Wednesday, January 2, with George Balanchine’s three-part masterpiece, Jewels, and continue for 57 performances, through Sunday, February 24. Among the winter season highlights are world premiere ballets by Italian choreographer Mauro Bigonzetti, who will make his third ballet for NYCB, and by the Company’s Resident Choreographer, Christopher Wheeldon, who will make his 16th work for the Company. Mr. Bigonzetti, who is the Artistic Director of Italy’s Aterballetto, will create a work to an original score by his longtime musical collaborator, Bruno Moretti. The ballet will premiere on Wednesday, January 23, as part of NYCB’s annual New Combinations Evening, which honors the anniversary of George Balanchine’s birth. Mr. Wheeldon’s ballet will premiere on Thursday, February 7; the score will be announced at a later date. The 2008 winter repertory season will open with George Balanchine’s Jewels on Wednesday, January 2. This full-length abstract work, which premiered in 1967, consists of three parts: “Emeralds”, set to the music of Fauré, “Rubies”, set to the music of Stravinsky, and “Diamonds”, set to the music of Tschaikovsky. Jewels will be given five performances during the first two weeks of the winter season. The season will also feature the return of NYCB Ballet Master in Chief Peter Martins’ full-length staging of Romeo + Juliet which played to sold-out audiences for two weeks in the 2007 spring season. Mr. Martins’ production, which is set to the classic score by Sergei Prokofiev and features sets and costumes by Danish painter Per Kirkeby, will be performed in repertory for seven performances only, beginning Saturday, January 5, at 2 pm. The run includes two performances which have been added to the winter season schedule: Sunday, January 6, at 8 pm, and Wednesday, January 9, at 2 pm. of Walter Donaldson. The work is one of two ballets that Ms. Stroman, a Tony Award winner for such Broadway hits as The Producers and Contact, has created for NYCB. Double Feature will be performed seven times, from Thursday, January 31, through Wednesday, February 6. In addition to the three full-length ballets, the winter season will include 10 distinct repertory programs featuring a total of 37 different ballets. Each program will be performed three or four times during the course of the eight-week winter season. George Balanchine, NYCB’s co-founder, will be represented by 19 works overall, including Prodigal Son and The Steadfast Tin Soldier, which were last performed in 2004. The season will also include two all-Balanchine programs. The first, “Balanchine’s World,” features Le Tombeau de Couperin, Tarantella, Bugaku, and La Sonnambula, and the second, “Russian Treasures,” features Serenade, Mozartiana, and Tschaikovsky Piano Concerto No. 2. The Company’s co-founding choreographer, Jerome Robbins, will be represented by seven ballets, including the return to the repertory of such works as Fancy Free; Ives, Songs; The Concert (not performed since 2002); and West Side Story Suite. During the 2008 spring season, to mark the 10th anniversary of Robbins’ death, NYCB will celebrate its extraordinary Robbins repertory with a season-long celebration of the choreographer and his ballets. In addition to Romeo + Juliet, the winter season will have five works by Peter Martins, including The Chairman Dances, set to music from the John Adams opera Nixon in China, and Thou Swell, Mr. Martins’ lush and romantic tribute to the music of Richard Rodgers. 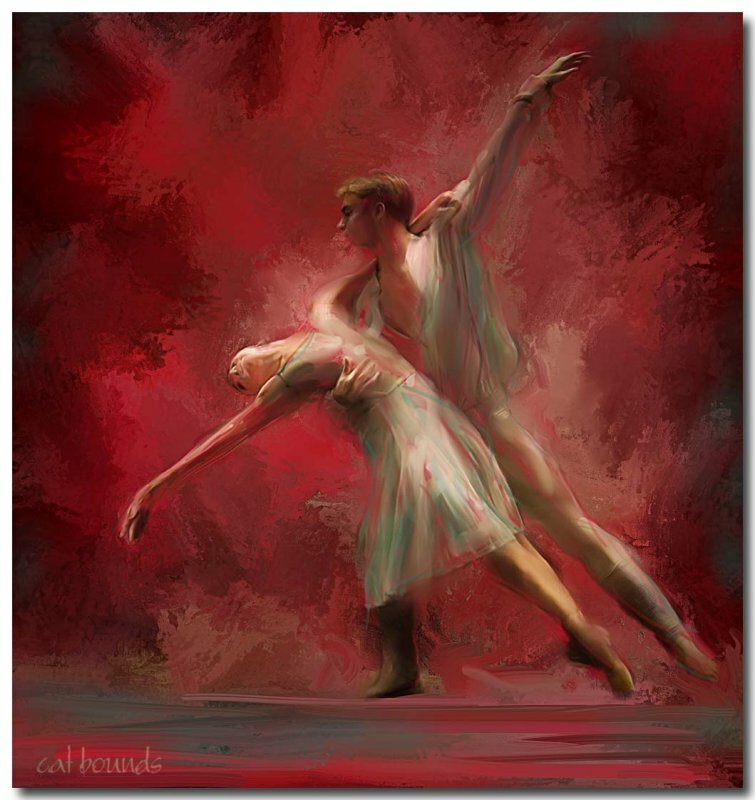 Dance), set to music by Richard Rodgers. The season will also include four performances of Russian Seasons, created for NYCB’s 2006 Diamond Project by Alexei Ratmansky, Artistic Director of the Bolshoi Ballet. On Sunday, February 10, NYCB will present a special farewell performance for Principal Dancer Nikolaj Hübbe, featuring four works that are closely associated with the dancer: Apollo and Western Symphony by George Balanchine; an excerpt from Jerome Robbins’ West Side Story Suite; and Zakouski, which Peter Martins created for Mr. Hübbe in 1992. Mr. Hübbe is retiring from the stage to become the Artistic Director of the Royal Danish Ballet. His appointment to this position was announced in March 2007, and his official tenure begins in July 2008, to continue through June 2012. Mr. Hübbe was born and raised in Copenhagen, and he began his dance training at age 10 with the Royal Danish Ballet School, ultimately joining the Royal Danish Ballet in 1986. Mr. Hübbe joined New York City Ballet in July of 1992 as a principal dancer, and during his career, he has performed most of the Company’s vast repertory and has had many works created on him. For the premiere of West Side Story Suite in spring 1995, Mr. Hübbe danced and sang in the role of Riff. He has appeared regularly with the Royal Danish Ballet and as a guest with many companies throughout the world. In addition to his performing career, Mr. Hübbe is a faculty member at the School of American Ballet (SAB), the official school of New York City Ballet, and he has staged August Bournonville works for NYCB, SAB, the National Ballet of Canada, Ballet Arizona, and the Royal Danish Ballet. Usdan Center for the Creative and Performing Arts (www.usdan.com), now celebrating its 40th year as America’s premier summer arts day camp, is adding several new programs for 2008: an Adventure series, designed to introduce children who have completed grades 2 to 4 to art, theater or dance. These programs will feature the first-class instruction for which Usdan is known, but will introduce and expose young children to various skills in each concentration, without having to major in just one form. Another new program, Vocal Jazz, an addition to Usdan’s acclaimed instrumental Jazz Department; and SAT and Essay Writing Prep is a program for high school students who are entering their junior or senior years. This program, which will be an elective minor class for high school students, will also provide evening college admissions workshops for parents, and has been designed for provide SAT prep within a comprehensive program that will irent families to the college admissions process. Usdan has also announced Open House dates for parents and children wishing to visit the campus and to learn about the 2008 Summer Season. The Open Houses will take place on Sundays, November 4, 2007; January 6, 2008; March 9, 2008; and on Wednesday February 20, 2008. All Open Houses will be from 11 AM to 2 PM, and each will give prospective students and their families a chance to tour Usdan’s magnificent 200-acre woodland campus in Huntington, Long Island, and obtain information from the Usdan Center staff. Those who cannot attend the Open Houses may visit the Center any Monday-Friday from 9 AM to 5 PM. The Center is at 185 Colonial Springs Road, Wheatley Heights, NY. Usdan Center for the Creative and Performing Arts, America's largest summer arts day camp, was formed to introduce young people, ages 6 to 18, to the arts through performance and study with a professional faculty of artist-teachers. The Center's mission is to provide children with the arts as a companion for life through great teaching, and the camaraderie of fellow students who share a love the arts. Usdan offers more than 40 programs in music, dance, theatre, visual arts, chess, video art and computer graphics, creative writing, and nature and ecology. No audition is required for most Usdan programs, and one-third of the Center's 1,600 students attend on scholarship. Children commute to Usdan five days a week on air-conditioned buses that leave from most New York metropolitan area neighborhoods. A special feature of the students' daily program is the Center's series of Festival Concerts, daily educational performances by distinguished artists, such as the Tokyo String Quartet, the Limon Dance Company, violinist Rachel Lee, and cast members of current Broadway shows. Although the Center's goal is to encourage arts participation, Usdan's unique program has also inspired many former students to go on to professional careers. Alumni include actors Natalie Portman, Lisa Gay Hamilton (featured in Broadway's Gem of the Ocean) and Jordan Leeds (I Love You, You're Perfect, Now Change), singers Mariah Carey and Jane Monheit, and members of the New York Philharmonic, Philadelphia Orchestra, San Francisco Symphony, and numerous ballet companies including Pacific Northwest, Ballet San Jose, American Ballet Theatre and New York City Ballet. There are in addition, a few selective programs, including the Music Staff Internships, the Summer Ballet Intensive and the Heckscher-Usdan Student Art Institute. The Institute, open to art students grades 9 to 11, begins at Usdan Center during the summer and continues with biweekly meetings at the Heckscher Museum of Art through the following May. A newer program is the annual Summer in September, this year on September 29-30, an intensive weekend of workshops in Essay Writing for SAT’s, Chess, auditioning for music conservatories, and The Craft of Broadway for aspiring actors. New York, New York, January 20, 2007- Arlene Shuler, President and CEO of New York City Center, today announced that The Andrew W. Mellon Foundation has awarded a grant of $3.5 million to City Center for the support of its Fall for Dance Festival. The grant includes $2.5 million to inaugurate a new, dedicated endowment fund for Fall for Dance and up to $1 million to help underwrite the Festival’s annual expenses until the $10 million fund is fully established. The Mellon Foundation’s grant requires City Center to match the $2.5 million endowment component two to one over the next five years. To reach this goal, City Center will launch a new endowment campaign that will seek to secure the full $10 million by 2012. The Mellon grant will help to assure the future of the Fall for Dance Festival by inaugurating this vital endowment allowing City Center to continue in its historic role as an accessible and welcoming home for outstanding dance in New York City through programs like Fall for Dance. Established in 2004, the Fall for Dance Festival celebrates the vitality and breadth of dance by presenting 30 different dance companies from New York, across the country and around the world, during 10 days of performances. Artists represent a variety of genres from ballet to hip-hop. The Festival showcase premier dance companies alongside today’s most exciting new talents, and with all tickets just $10, dance lovers and a new audiences willing to give dance a try have made the Festival a sold-out success. The Festival has made great progress in achieving its original goal of helping develop a new generation of dancegoers. Surveys distributed during the 2006 Festival indicated 37% of the audience was under 30 years of age and 24% were not regular dance attendees. Just as important, 40% of the respondents who had attended previous Fall for Dance Festivals saw more dance performances throughout the year, as a result of their experience at the Festival - which is a sign that Fall for Dance has benefited the entire dance community by enticing audiences with the right combination of affordable ticket prices and programming. The Festival has also introduced companies to dancegoers who might be unfamiliar with their work; in fact, 45% of the audience said that they had subsequently attended a performance by one of the companies they saw at the Festival. The Andrew W. Mellon Foundation is a private philanthropic institution, with assets of approximately $5 billion, and issues grants on a selective basis to organizations of higher education, independent libraries, and centers for advanced study, museums, art conservation, and performing arts groups. Under its Performing Arts Program, the Foundation focuses on achieving long-term results by providing multi-year grants to organizations in the disciplines of music, theater, dance, and opera. These grants, which are awarded on the basis of artistic merit and leadership in the field, seek to strengthen an institution’s artistic and administrative capacity; encourage the development and performance of new work; identify and train new generations of leaders; reinforce the role of individual artists within institutions; expand research and scholarship in the performing arts. The Mellon’s annual donations specifically for performing arts, have averaged $20 million since 2000. New York City Center has long been known and beloved by New York audiences not only as one of the city's preeminent performing arts institutions but also as an accessible and welcoming venue for dance and theater. New York City Center produces the Tony-honored Encores! musical theater series, and is home to some of the country’s leading dance companies, including Alvin Ailey American Dance Theater, American Ballet Theatre and Paul Taylor Dance Company, as well as Manhattan Theatre Club, one of New York City’s leading theater companies. Continuing to fulfill its mission to make the arts accessible to the broadest possible audiences, in 2004 New York City Center launched the acclaimed Fall for Dance Festival. In 2006, New York City Center and London’s Sadler’s Wells Theatre created a partnership to facilitate the exchange of innovative dance works and new commissions by up-and-coming and acclaimed choreographers and dance companies, both in London and in New York City.